Town Staff and the Fairview Police Department have been made aware of a telephone scam recently occurring to residents in the Town. In this phone scam, the crook calls and states it is an urgent situation in order to garner the victim’s immediate attention and lessen suspicion. In this particular case, the caller claimed to be a lawyer attempting to obtain bail money for a family member in jail. The victim was even provided a separate number for the “police station,” so that the victim could confirm the story. Of course, the person they called to confirm it was not a police officer at all and was in on the scam. Often these crooks use social media to find out the real names of your extended family members, yet another reason to check your privacy settings online. In these scams, the victim sent funds through a money transfer service (also known as a money wiring service). Scammers like using money transfer services such as Western Union and MoneyGram because the funds are instant, work the same as cash and are easy to pickup with little identification. Typically, there is no way you can reverse the transaction or trace the money. Also, when you wire money, the recipient can pick it up at one of many locations. That makes it nearly impossible to identify the recipient or track him down. This particular scam has a number of versions such as receiving a check for greater than the amount of a purchase or for the taxes on contest winnings with the request that the victim wire the difference in funds back, then your funds are wired before the victim realizes the check is bad. Another form utilizes phony real estate listings to garner money transfers for application fees. Then there are fake loan fee transfer scams and mystery shopper jobs that ask the victim to complete a money transfer as part of their job. • If you feel that you cannot ignore a funds request, try to verify the caller’s identity by asking personal questions that a stranger cannot find online. And, keep trying to reach your family to check out the story. 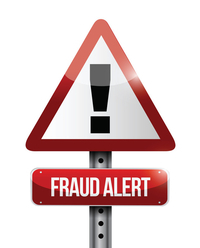 If you believe you have wired money to a scam artist or otherwise been a victim of identity theft, be sure to contact the Fairview Police Department and file a complaint with the FTC. Additionally, you can call the money transfer company to ask for the money transfer to be reversed, while it is unlikely to happen, it is important to ask, report the fraud and file a complaint with the service. And, remember to stay vigilant to help protect yourself from fraud!